People who are good at snowboarding always make it look so easy as they gracefully ride down the snowy hills. I really admire their skills. 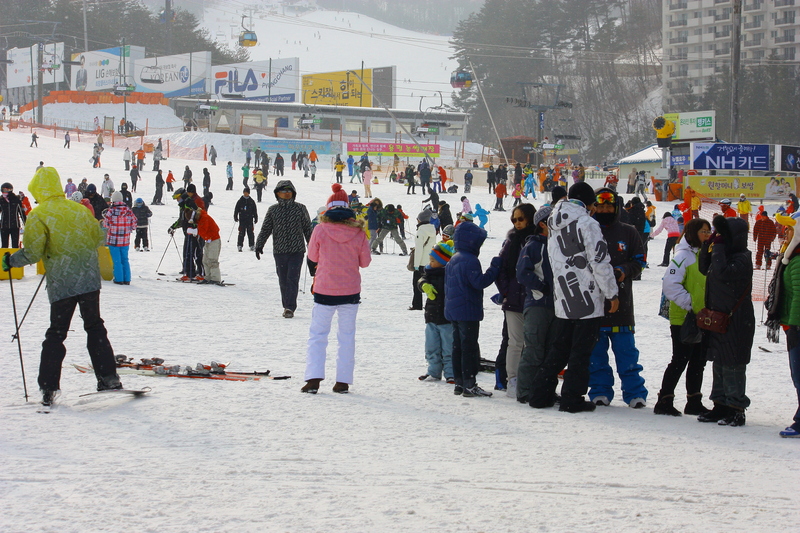 Although snowboarding is a fairly popular leisure activity in Korea, I have always tried to avoid it. 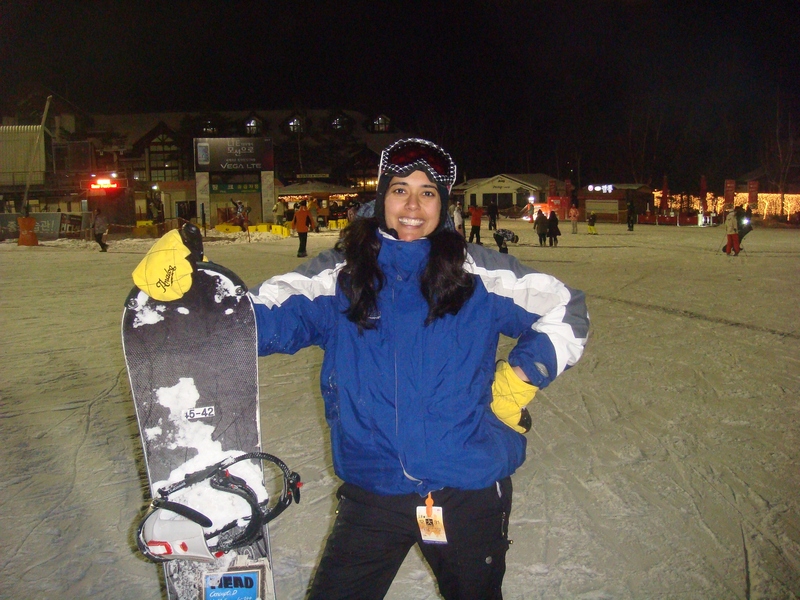 Truth be told, I was a bit intimidated by snowboarding. Both feet on one board while sliding down a snowy hill…ummm…No! In the past, I had tried surfing in Indonesia, and had decided riding a board just wasn’t for me. This fearful attitude, had kept me away from riding boards whether in water or on the snow for a long time. However, here is my conflict. When it comes to adventure, I like to try new things at least once before I make up my mind. That is why I knew I had to give snowboarding a chance. 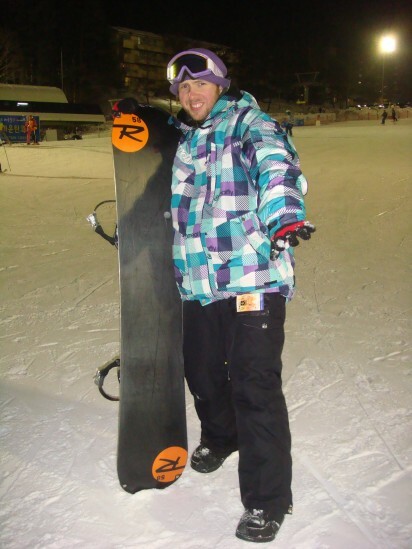 It just so happened that our next door neighbor and friend, Matt Reinhardt, had been teaching snowboarding for over a decade before he came to Korea. I had always admired his passion for snowboarding and trusted his teaching abilities. So, when he offered to teach us snowboarding, we couldn’t pass up the opportunity. Despite my fear, I had to try it at least once, right? Well, I did! This video shows how we felt after snowboarding for the very first time. 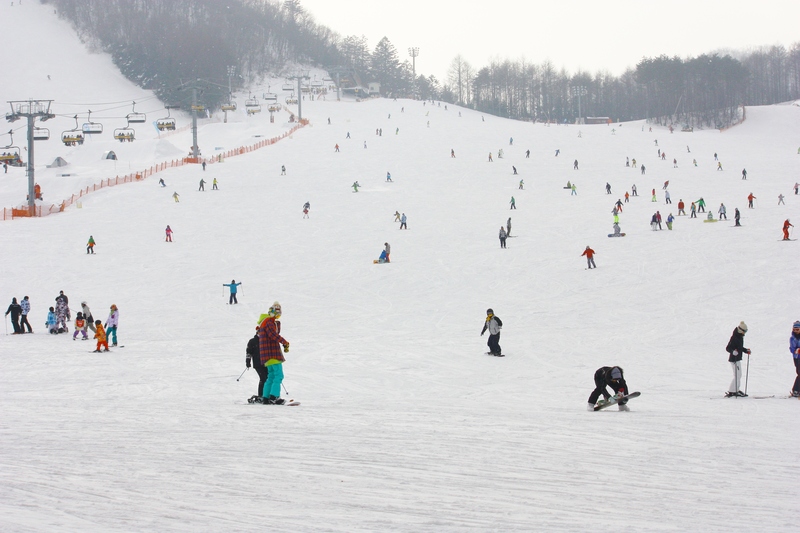 Learning to snowboard is like learning to travel. Traveling also requires skills, practice and courage. When you travel, you need to leave what is familiar and comfortable behind you in order to step into an unknown world. You need to overcome the initial fear and let yourself go. When you finally begin sliding down the hill without tensing your legs so much, the ride is so much more fun! Eventually, after countless falls, you begin to learn how to control your board. When traveling at first, you will most likely make many mistakes or fall into tourist traps, but eventually you will learn the ways of a traveler. So, go ahead try something new! Perhaps, it is trying that weird looking food or learning to play a musical instrument. Try it, and you may just have lots of fun! Looks and sounds like fun! Very brave to try it at least once and hopefully, many more times in the future.